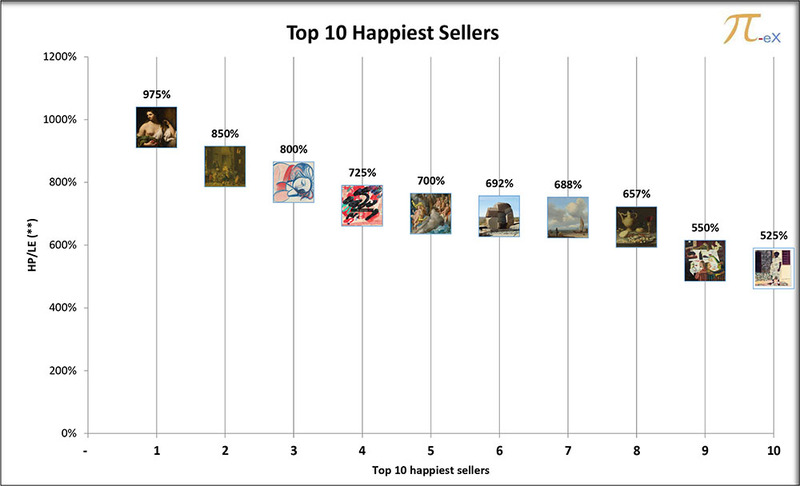 The top 10 happiest sellers in the 2017 evening sales sold artworks with Hammer prices that reached many times the Low Estimates set by the auction houses and the sellers. The artworks were sold both in contemporary and old masters evening sales at Sotheby's, Christie's and Phillips. When buying fine art at auctions, most buyers know that the final Hammer Price (HP) can often end up being much more than the Low Estimate. 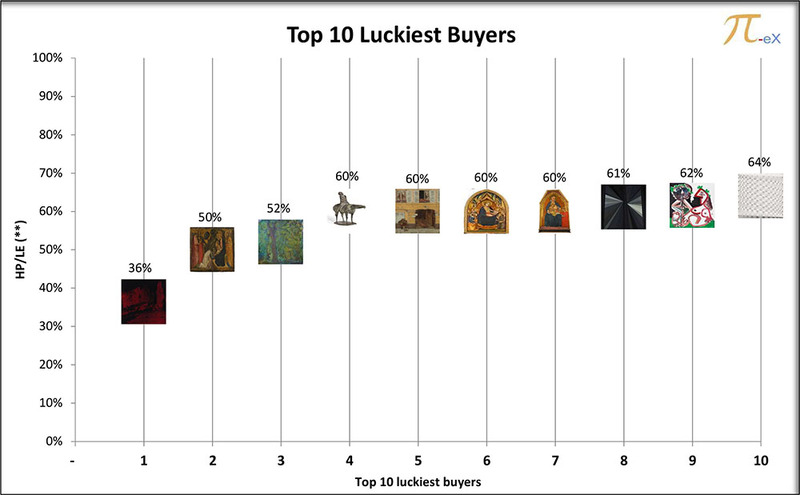 The following buyers were actually able to buy the artwork of their choice for much less than the initial Low Estimates, making them the top 10 luckiest buyers. The worst thing that can happen to a seller at auction is that his/her artwork is "bought in", ie unsold. This happens when no one makes an offer above the seller's reserve price. 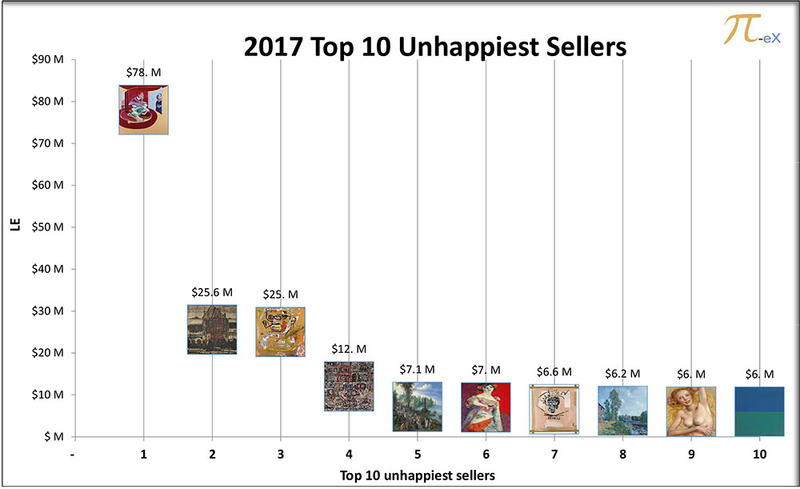 The owners of the following 10 artworks all encountered this sad fate in 2017 and became the top 10 unhappiest sellers. The list of the top 10 most driven buyers of the year includes buyers who were willing to bid for amounts way above the initial Low Estimate or Estimate on Request set by the sellers and the auction houses for specific lots. 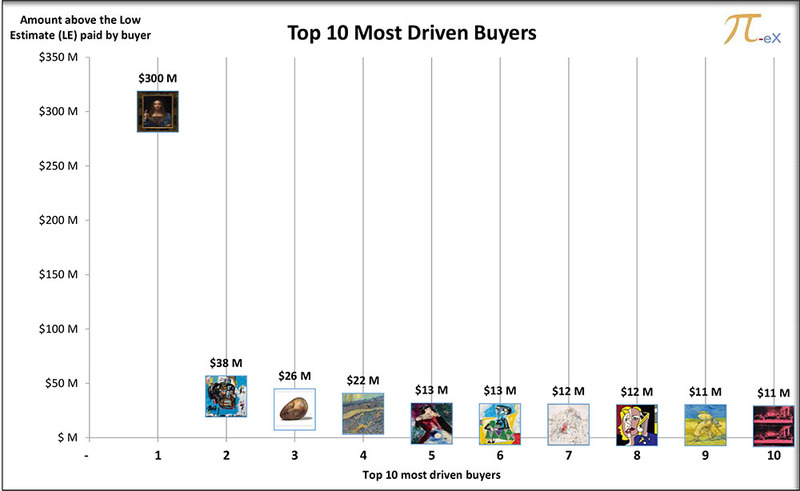 The buyer of the “Salvatore Mundi” makes by far the top of the list while other driven buyers were more “moderate”. Interestingly all sales happened in New York but one that took place in London.